Trebbiano wines are often dismissed as unremarkable, yet they’re made from one of the hardest working wine grape varieties out there. The most popular, Trebbiano Toscano, is the third most-planted grape in Italy and ranks 10th overall in the world behind Sauvignon Blanc and Pinot Noir. Also known as Ugni Blanc, it is the most planted white wine grape in France! So, despite the lackluster wine reviews, what is it about this grape that makes it so popular among winemakers? Trebbiano grapes grown in the Charentais region in France. Photo from Pancrat at Wikipedia. Trebbiano actually refers to a broad group of white wine grape varieties originally from Italy. While not necessarily genetically related, these varieties share growth characteristics that make them very attractive to winegrowers. The vines are hearty and adaptable, growing well under under a variety of conditions and producing large bunches of late-ripening grapes. Their robustness of growth and high yields have made them a mainstay, even though their wines are not the most prestigious. They tend to be rather neutral in flavor, so they’re most often blended or used for other applications. 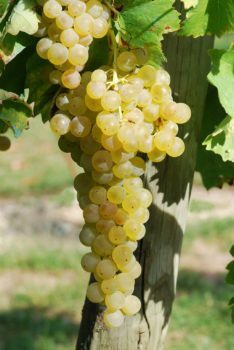 If someone simply says Trebbiano, chances are they are referring to Trebbiano Toscano, the most common variety of these grapes. As the name implies, these come from Tuscany and are very commonly used in Italian white wines. Overall, they are are approved in about 85 different DOCs, plus a few (but not many) DOCGs. This puts them in about one third of Italian white wines. They also have seven of their own designations, including Trebbiano d’Abruzzo, Trebbiano di Aprilia, Trebbiano di Arborea, Trebbiano di Capriano del Colle, Trebbiano di Romagna, Trebbiano Val Trebbia dei Colli Piacentini, and Trebbiano di Soave. There are many synonyms, as well, some of which are specific to home regions. These grapes go by Procanico in Umbria, for example, where they’re often found in the wines of Orvieto. In France, where it is primarily known as Ugni Blanc, this variety is found mostly along the Provençal coast. Again, the lightness and crispness makes it most ideal in table wines and blended wines. Trebbianos are also critical for production of traditional balsamic vinegar. After harvest, boiling the grapes to a high sugar concentration (30%) readies them for fermentation and aging in wooden casks. As the years go by, the vinegar will become sweet, viscous, and intensely flavorful. Dry white Trebbianos pair well with light seafood pastas. You should serve these at 44-55°F (7–13°C). There’s no need to decant or aerate them either. While you can age these wines for 3-5 years, they’re generally best when they’re fresh. Although not the most flavorful of white wines, Trebbiano blends can be lovely on a hot summer’s day. Much like Dolcetto, their simplicity also makes them easy to drink and easy to pair. They tend to be crisp, fresh, and light-bodied, pairing well with classic antipasto platters. 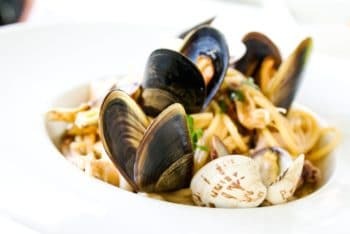 They’re wonderful with white fish, pastas, and simple Italian and Mediterranean foods. 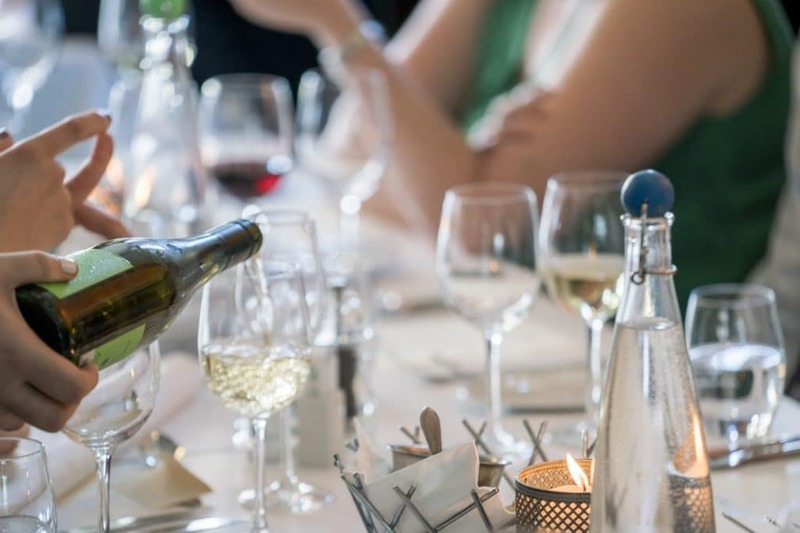 See our food and wine pairing guide for more great ways to pair white wines.